The Defense Department’s share of the cost to cover 23 million current and former federal employees affected by the Office of Personnel Management’s massive data breach is $132 million. DoD submitted a request to Congress on July 28 to reprogram funding to help pay for identity protection and background investigations. Almost half of the reprogramming will come from the Army’s personnel funds. In DoD’s request to Congress, Comptroller Michael McCord said the military had to pay less in separation payments and for basic housing allowances. Inside Defense first reported the reprogramming request. The Office of Personnel Management asked agencies in July to contribute money to help pay for data breach services for the 22 million victims of the massive cyber attack as well as pay a higher price for the entire 2015 for security clearance processing. The General Services Administration and the Naval Sea Systems Command released two solicitations Aug. 5 for data breach services to cover the victims of OPM’s breach and to create a long-term contract for any agency to use. GSA and NAVSEA expect to make the awards for the blanket purchase agreement and the first task order in late August, according to a GSA spokesperson. DoD likely will put the most money in OPM’s hat as they pass it from agency-to-agency. In July, OPM sent out a spreadsheet detailing each agency’s expected contributions. One government source, who saw the spreadsheet, said the amount of money each agency pays is based on the number of clearances they have. While the source, who requested anonymity to speak on this sensitive topic, wouldn’t confirm any specific numbers, the official said it’s logical to assume that large agencies, such as the departments of Defense, Homeland Security and Veterans Affairs, would pay more than smaller agencies. A House Appropriations Committee spokesperson confirmed they have received reprogramming requests from other agencies, but declined to release details. An email to OPM requesting information about other agency contributions or the state of contributions more generally was not immediately returned. An email to Senate Appropriations committees seeking comments on DoD’s request and whether other agencies also have submitted requests was not returned. DoD made its request public, detailing where the funding will come from and why a transfer to OPM is possible. 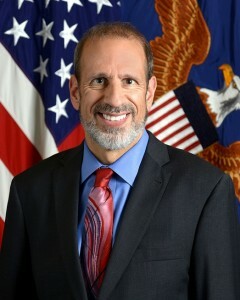 For example, McCord wrote the Army will pay $54.3 million out of its personnel accounts because of lower cost of living stipends paid to servicemen and women living overseas, fewer payments made to enlisted men and women who separated from service and less money paid to enlisted men and women under the basic allowance for housing program. DoD will take $17.6 million from the Navy’s selective reenlistment bonuses account and almost $9 million from the Marine Corps’ funds to pay enlisted service members. McChord said DoD also is taking money from procurement accounts and operations and maintenance accounts to help make up the total $132 million contribution. Reprogramming funds is actually easier during this time of year for most agencies, said Jim Taylor, a former Labor Department CFO and now a managing director at Grant Thornton. Taylor pointed to one time in 1996 when he was at FEMA and helped find $10 million at the end of the fiscal year to develop the agency’s first financial management system. Taylor said each appropriations bill has different rules about how much an agency can reprogram without notifying Congress. He said typically an agency must notify Congress and if they don’t hear from them for 15 days, it’s considered approved. “Usually what you do as an agency is get a feel for how the wind is blowing on Capital Hill before you send the request over, and as long as you are not hurting some pet project of a member, it should go well,” he said.